The Costa Book Awards for 2018 drew a record 641 entries across the program’s five categories. In January, the five category winners will be announced, followed by the overall winner’s ceremony. 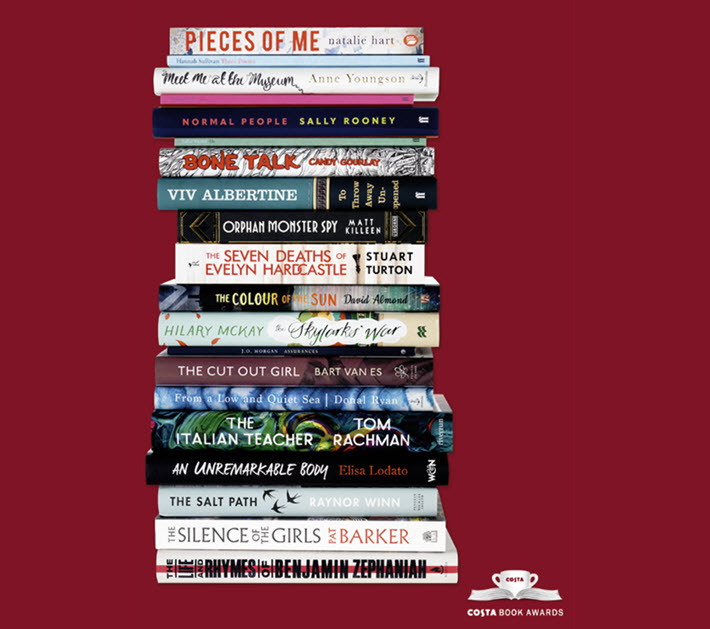 As announced near the end of the week, half of the UK’s Costa Book Awards‘ 2018 shortlisted titles are debuts. In the poetry category, that goes up to 75 percent of the shortlisted works being debuts. There are 10 male and 10 female writers nominated, and they range in age from 27 to 75. One of the debut authors shortlisted, Anne Youngson, is 70. The award is given in five categories: first novel (which helps with that high debut count), novel, biography, poetry and children’s literature. Organizers report that this year’s competition has attracted 641 entries, a record in terms of a single year’s numbers. Entries are juried by five panels, with three people on each panel. Winners in each of the five categories are to receive £5,000 (US$6,411). An overall “book of the year” winner is chosen from the five category winners, and that award carries a purse of £30,000 (US$38,467). 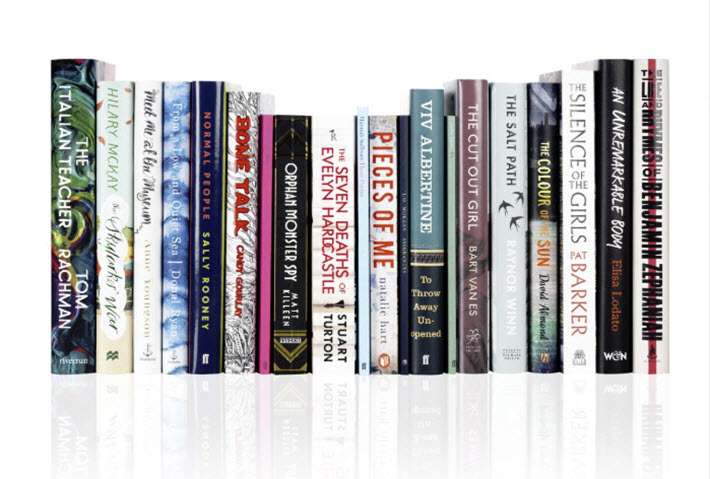 Since being introduced in 1985, the book of the year prize has gone 12 times to a novel, five times to a first novel, six times to a biography, eight times to a poetry collections, and twice to a children’s book. The five category winners are to be announced on January 7, and the book of the year winner will be named on January 29. Established in 1971 by Whitbread Plc, Costa announced its takeover of the sponsorship in 2006, and 2018 is the award program’s 47th year. In a prepared statement, Costa’s managing director, Dominic Paul, is quoted, saying, “There’s genuinely something for everyone in our shortlists this year: books which will make you laugh and books which will make you cry; books which will make you think; books which you’ll read late into the night; and, most of all, books which you’ll want to recommend and pass on to others. The 2017 Costa Book of the Year was Inside the Wave from Bloodaxe Books ,awarded posthumously to Helen Dunmore, and you can read our story on it here. More from Publishing Perspectives on the Costa Book Awards is here, and more on publishing awards in general is here.